Alex Varisco and her off the track thoroughbred Chad. Hi everyone, my name is Alex Varisco, and I am a senior at St. Andrews University studying communications and equine business management. I ride on the St. Andrews Intercollegiate Dressage Association Team, and one of my favorite aspects of this program is its emphasis on shaping future equestrian leaders in the equine industry. Whether one has intentions of riding professionally or simply owning horses for pleasure, we all play a role in the lives of these horses we love and care about. Perhaps the most eye opening part of my studies has been researching and discussing current events and issues in the equestrian world. A hot topic in our classroom conversation, the ever increasing “unwanted horse” is an issue I chose to research for class when prompted to identify five challenges in the equine industry for discussion. Like many others, this issue affects me on a personal level, not only because of my love for horses and equestrian sports, but also because I own an off the track Thoroughbred and support the comeback of the breed in the equestrian sports world. After my investigation of this important industry challenge, I believe the researched information presented proves we must take initiative as future contributors to the equine industry and help resolve the issue of the unwanted horse in America. It is of many opinion euthanasia is the more humane option for ending a horse’s life if it can no longer be cared for appropriately rather than the alternate routes of abuse, neglect, abandonment or slaughter. According to the ASPCA website, euthanasia is defined as, “a gentle, painless death provided in order to prevent suffering, slaughter is a brutal and terrifying end for horses.” (aspca.org) I, like many others, agree I would rather not see any animal suffer; yet, I must also play devil’s advocate for a moment. In my research, I discovered the average cost to have a veterinarian euthanize one’s horse is at minimum $250. (avma.org) In my opinion, if an owner cannot afford to feed or take care of a horse properly, or simply does not care enough to care for it, it does not seem likely they would be willing to pay such a large fee to rid of it humanely. What is the alternative? In many of these situations, horses end up on slaughter trucks bound for Mexico or Canada. Are we only hurting the horse industry further by forbidding slaughter in the United States? On one hand, if the US were to re-open slaughterhouses with strict regulations, perhaps we could prevent many unwanted horses from suffering an inhumane death in horsemeat processing plants in other countries. On the other hand, there are many facts demonstrating horsemeat is unsafe for consumption, and it is definitely not a commonly accepted practice in our country. Yet, we cannot ignore the abuse, neglect and abandonment of horses continuing on in our industry. What do we do with all of these horses? 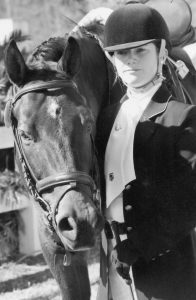 The UHC website provides some alternatives to slaughter and animal cruelty: sale, auction, trade or lease; retirement; donating to therapeutic riding centers, college or university equestrian programs, veterinary programs or mounted police units; training horses for a second career; or euthanasia. (unwantedhorsecoalition.org) There are also some animal rescue centers and shelters that offer euthanasia services at a low cost or for no fee at all. For example, in 2008 the NorCal Equine Rescue center in Oroville, California offered a low-cost euthanasia clinic for a specified time for owners “who, due to economic or other reasons, are unable to care for their horses.” (thehorse.com) The service fee was only $25, much lower than $250, provided by the rescue’s Final Act of Kindness program for horses unsuitable for adoption. As a hopeful contributor to the equine industry, I hope to help take steps toward solving this major issue by helping rehabilitate and repurpose unwanted horses as my own business. There are several programs in the industry working towards eliminating the unwanted horse, such as the Thoroughbred Incentive Program, which encourages the re-homing of Thoroughbreds off the track for competition and recreational riding activities. (tjctip.com) Without horse slaughter in the United States, I believe it is the duty of the leaders in our industry—veterinarians, professionals and more—to provide humane options for the rescue and rehoming of unwanted horses. I believe the industry is taking slow steps in the right direction. With the use of social media and new technology, we can educate and make aware more people about this major issue in our industry. 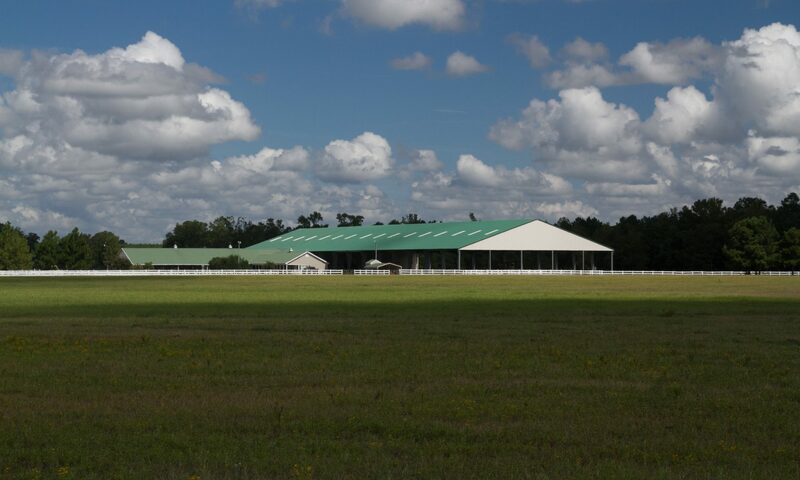 We must educate the equine community about horse safety, equine care, the economical investments owning a horse brings, and the importance of safe breeding practices. All of these important topics could prevent the circumstances that bring about a horse to become “unusable” or “unsafe.” This is also the duty of equine professionals, who should be focusing on such areas in their lesson programs and providing guidance to other horse owners. Veterinarians also play a large role in this initiative, helping rescue centers provide humane options for rescued horses, such as low cost euthanasia and gelding of stallions. With all of these tactics, I believe we can take even larger steps toward saving these animals we love and care for so passionately! A horse does not have to cost the same amount as a house to be a loving, compatible and loyal equine companion. It is our duty to do right by these animals and provide them all a second chance.